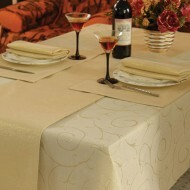 Swirl design Table Cloth 52" x 71". Gold..
Swirl design Table Cloth 59" x 85". Silver..